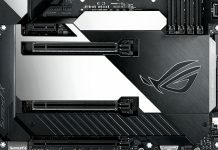 Most PCDIY readers are aware of the wide range of components ASUS produces. 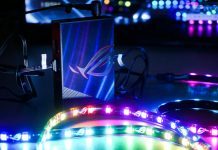 What many may not be aware of is ASUS has a special system integrator program that directly integrates the utilization of those components for those that do not DIY. This program is called Powered By ASUS and is comprised of industry leading system integrators who design, develop and produce complete systems. 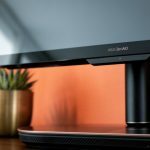 The unique aspect is these integrators bring their design expertise and integration experience along with utilization of ASUS hardware all together. They are the ultimate DIY builders as every system is purpose-built for a specific user utilizing far superior hardware than what you find from big box builders. 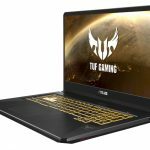 For users looking to have all the benefits of the latest and greatest ASUS hardware but in a system that offers up an assured level of reliability, stability, compatibility, performance & functionality and most importantly support, this is a great option. Furthermore it eliminates the complexity, learning curves, varied pitfalls and time-consuming aspects of DIY while keeping all the benefits of advanced hardware used in the build. 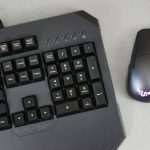 In this Q&A we are going to be talking to NCIX, many of you may be familiar with them when it comes to being an awesome etailer but they offer a wide range of pre built systems for productivity, content creation, gaming and more. So let’s kick off this Q&A! 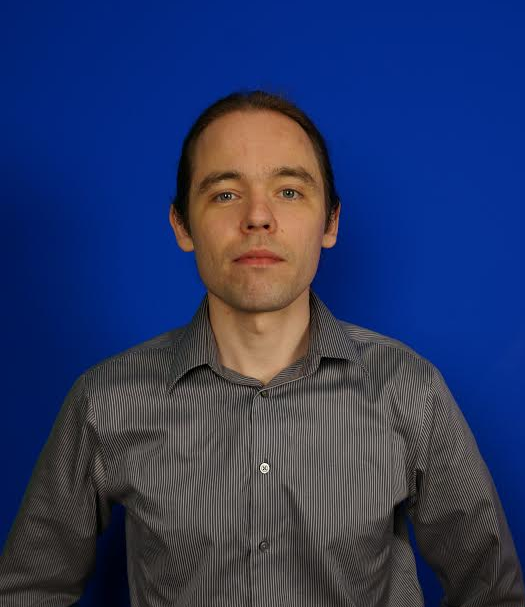 For our Q&A we were lucky enough to interview a friend and great PCDIY enthusiast Ivan Metelitsa. 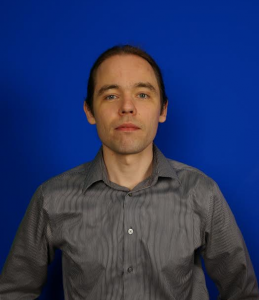 Ivan is a key system designer and integrator for NCIX. 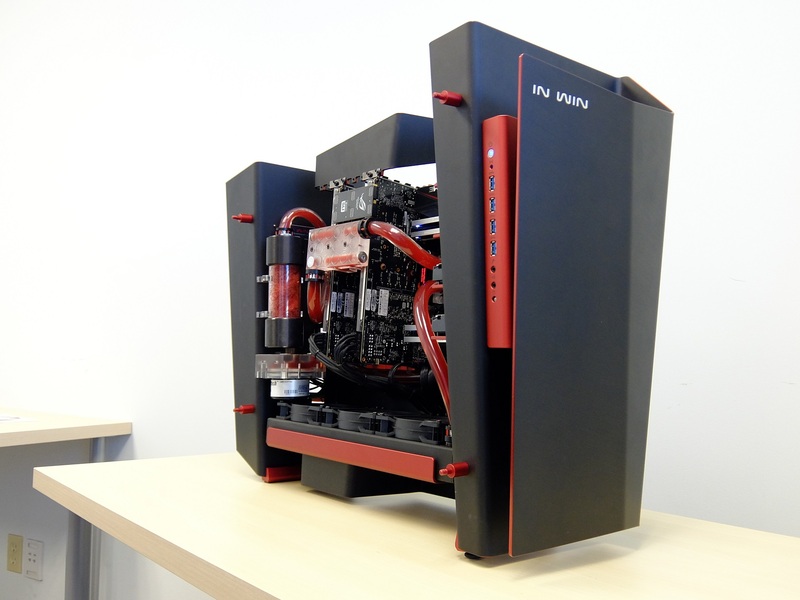 Below are some examples of the custom PC that NCIX builds. Q – PCDIY – Please introduce yourself and your position at the company? Q – PCDIY – How long has NCIX been in business? The first store opened in 1996, and grew into a sprawling company with 14 stores and 3 warehouses. NCIX PC as an in-house brand started around 1997, so we’ve been building machines for over 17 years now. Q – PCDIY – How does NCIX see themselves in offering systems to the consumer? Which consumers and segments do you produce products for? 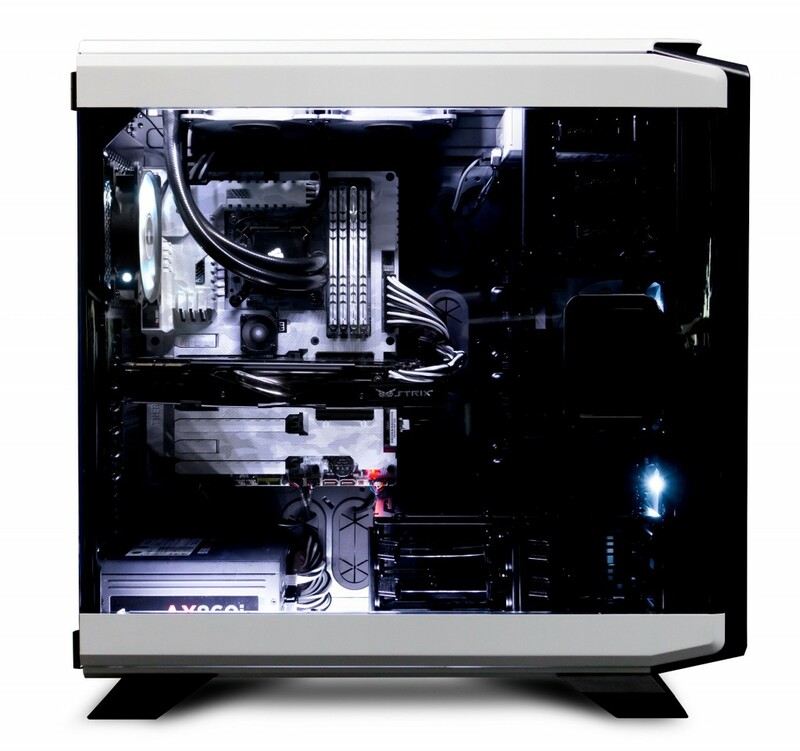 NCIX PC exists to provide people and businesses with the best computer technologies available. While gamers are the main group using our PCs, multimedia artists & interactive entertainment creators are benefitting from the quality of our custom-tailored solutions as well. Q – PCDIY – If you had to describe NCIX PC in three words what would those be? 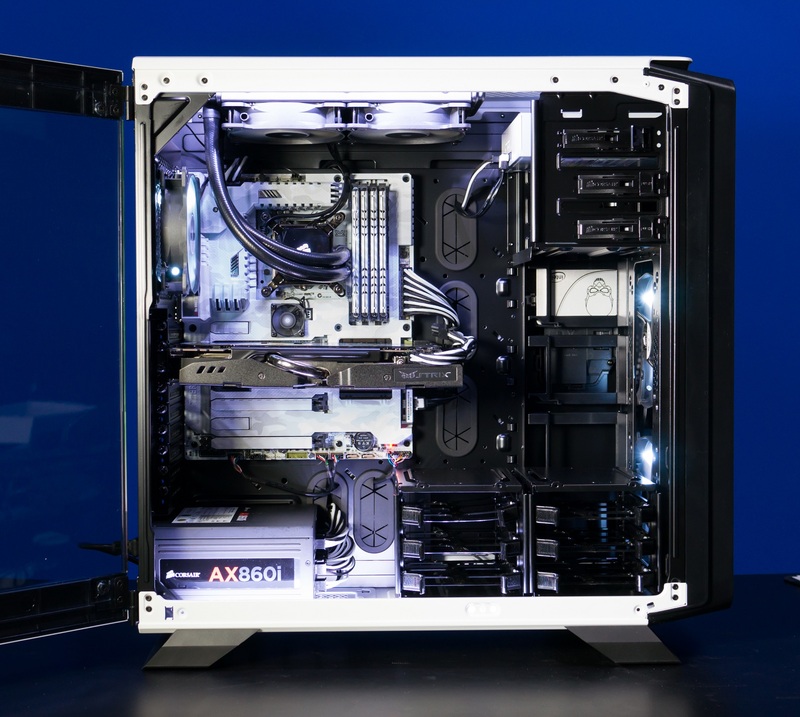 Q – PCDIY – Can you provide some insight into the team NCIX PC has put together that focuses on building enthusiast PCs? While every NCIX PC team member is accountable for specific responsibilities, we strongly encourage collaboration on all of our projects. All of us working together to make sure that the customer is put at the center of our business. Q – PCDIY – For many when they hear NCIX PC they may think Canada only. Does NCIX PC offer products, services and systems in the US as well? Yes we do ship to the US. In fact, gamers use our handcrafted PCs in many countries! 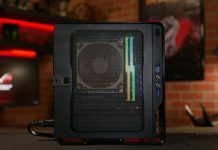 Q – PCDIY – NCIX PC gained much of NCIX visibility for being a leading etailer offering a wide range of components for the PCDIY enthusiast. 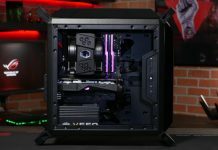 What was the goal of NCIX expanding into building pre built enthusiast systems? Back in 1997, it was as simple as customers asking us to “can you put this together for me?”. At some point, we realized that our capabilities go far beyond assembling parts into a functional PC. It made sense to leverage our vendor relationships, marketing prowess, technical skills and locally-based tech support to create a wholesome PC purchasing experience for our clients. Q – PCDIY – Does NCIX benefit from being both an etailer as well as a system integrator? NCIX PC is a separate business entity/brand from NCIX, but the short answer is yes. Being an in-house brand of the most prominent e-tailer in Canada definitely has benefits. NCIX has access to the most reliable and performing components on the market. When combined with our vendor relationships and technical knowledge it allows us to create machines of the highest quality, performance, and reliability. Q – PCDIY – NCIX PC has a very grassroots feeling of PCDIY enthusiasts being part of the framework of the company. Just as importantly the engagement and communication shown by NCIX PC for the PCDIY community has been outstanding. Why this been such an important focus for NCIX? Because without PCDIY enthusiasts and gamers, we would not exist, or at least not be as successful. So we go where they hang out. We are known for running online gaming clusters, partnering with LAN events and setting up demo booths at colleges. In addition, gamers and DIYers tell us what they look for in a gaming pc, so it’s an excellent way to get inspiration for what our future products may be. Besides, there is nothing like the feeling of being surrounded by your PC fellow gamers and hardware enthusiasts! 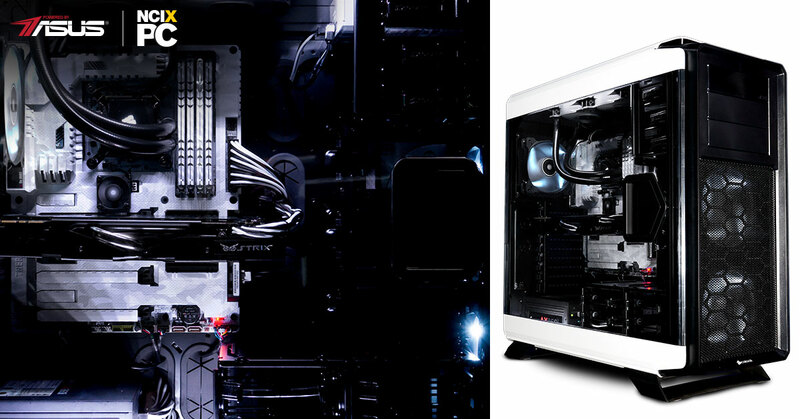 Q – PCDIY – What type of specialized options are available to users looking to purchase a pre built NCIX PC system. Do you have specialize design implementations to benefit thermal performance & efficiency or acoustics or aesthetics? When it comes to more mainstream options (think a $1000 tower) we adhere to sticking with premium partners with a solid reputation. This ensures that the building blocks of our machines are well-featured and performing to begin with. We then leverage our relationships to ensure we get validation samples ahead of time for our own in-house testing and prototyping, and that whatever features the partner focuses on are properly implemented. The machine’s final prototype is evaluated for thermal performance and cooling augmented if necessary, using off the shelf quality parts. Now, when it comes to enthusiast-class custom machines this is where it gets interesting. On performance side, we developed the TurboHydro Performance Package. This liquid cooling solution allows your gaming system to perform at its peak 100% of the time, while remaining extremely quiet and transport-friendly. On aesthetics side, we offer extensive customization and modding options to our clientele. Since not a single request is the same, we essentially become the artists painting the customer’s vision onto canvas of a high-powered rig (as seen in our S-Frame and Rogue Type-S examples). Q – PCDIY – While many PCDIY enthusiasts have a mindset of building themselves and that it is “easy” there can be a lot of complexity in optimally understanding platform considerations and configurations. Additionally changes to architecture, interoperability & compatibility as well as real world implementations can make the selection and build process difficult. Even more so specifying, assembling and optimally building & configuring / tuning a system. Beyond that there are thermal and acoustics considerations. NCIX PC eliminates all of this and offers up system that that has been carefully designed, validated and tested to offer a great experience. What type of testing does each unit go through? The whole “easy” part is more true these days than, say, a decade ago when you had to ensure all the IRQ’s do not conflict and the jumpers were properly set on your hard drives. Still, as you pointed out having a “functional” machine is not the same as having a well-designed, properly balanced system with all the features properly implemented and which is also rigorously burned-in so all you need to do is, well, turn it on and game! This is especially important for newcomers into PC gaming, who trust our expertise. To ensure that each NCIX PC rolling off our assembly lines is operating at its full capacity we deploy enthusiast-approved software suite, with LinX and/or Prime95 (with round-off checking ON) ensuring CPU, board and RAM are fully stable under even an extreme load, backed by memtest86+. 3D Mark is used to gauge the system’s gaming performance being within parameters, while Unigine Heaven is used to stress the machine’s graphics and scan for visual artifacts. During the testing procedure all temperatures and frequencies are monitored via combination of CPU-Z, GPU-Z and RealTemp/HWmonitor to ensure no overheating and throttling occurs. Only once the testing is fully passed with no fine print does our QC technician put his name in the machine’s “Stable” checkbox. And that is just part of the process of creating the best PC purchasing and ownership experience possible for our clients. Q – PCDIY – NCIX PC offers a wide range of system types for different usage models as well as varying price points. In addition NCIX PC has been long time PBA partner. How does NCIX PC differentiate PBA systems in regards to their design, development and production from non PBA systems? Design Process: PBA-class systems fuse top performing components with a sharp aesthetic angle. 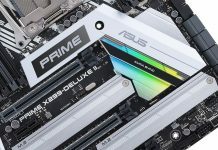 On hardware side, since all ASUS components qualified for usage in PBA machines are of high quality standard, rest of the parts have a high benchmark to adhere to. During initial concept spec-out stage, we only consider high-quality, performance-class components on our short list. On aesthetic side, our PBA series use variations of our custom-designed PBA Logo decal. For our show systems, we can push the aesthetic to the next level by adding internal touches to it (as seen in the Rogue Type-S showcase system). During production, despite reputation for quality and stability of individual components, every system is subjected to the same stringent burn-in procedure as the rest of our machines. This creates an extra layer of assurance for our clients that their machine is both created from top-notch parts AND is subjected to strict QC, so they can enjoy their new purchase with peace of mind. Q – PCDIY – Having a system that offers reliable operation along with ensured functionality and performance is a big part of buying a prebuilt system. How does NCIX handle quality control & validation? We absolutely agree, and to that end we have separate team members for configuration advisory, assembly and quality control. Each machine is hand-crafted by one person and then QC’d by another. This is a big difference from chain-produced approach used by big-box companies, which have failure rates per lot sample around ~5-10%. With NCIX PC approach, every system leaving our door is 100% tested and ready to go. Q – PCDIY – What is the assembly process like in building a system internally? Is it handled by one individual or a team? As per our structure, we have a separate person in charge of their part of the system’s path from an idea in customer’s mind to the end result. This ensures that one person does what they specialize and do best in, be it processing the order and providing advisory, picking the parts, actually assembling the machine or quality control. Only one person actually assembles, cables and tweaks each machine, so each NCIX PC’s is truly hand-crafted. Q – PCDIY – One area I see many builders make mistakes at is how they select components based purely on price as opposed to intended usage and functionality and other important metrics. For ASUS we have long messaged spec does not equal experience as functionality and usability is not always present in the specification. An example is a one motherboard may offer fan headers and so does our but only ours offer complete per header control with support for calibration, ramping control and DC or PWM output. How do products get selected for your systems? That sounds exactly right, and which is why you won’t find any second-rate ingredients in our “kitchen”. With customer at the center of our business, we are not trying to sell them a PC; we sell the whole experience of having qualified advice, skilled techs and excellent post-purchase support. 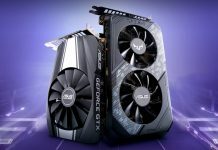 While it costs more than picking some parts off the shelf and clapping a rig together, you also get more such as not having to worry about something being DOA/suboptimal/imbalanced/incompatible etc while having all of your questions and concerned addressed before, during and after purchase. The same is expected from components: it needs to fit target parameters, be reliable, well-featured and be a pleasure to own, whether stand-alone or integrated. When evaluating a product for integration, price is usually one of the last questions we ask. Q – PCDIY – Support and the overall customer experience is one of the key areas where a system integrator can make or break themselves. How important is the customer at the beginning of decision making process? It can be difficult to know what system to get. What type of support or assistance do potential customers receive? More importantly what about 6 months after they have had the system? Not to sound like a broken record, but the customer is at the very center of our business and the entire structure is built around “how can we provide the best experience?” from beginning to end. Purchasing experience starts either online (for clients who have an idea what they’re looking for) or by contacting either our PC Advisor (a position I once proudly held) or a salesperson in store. From there, a client is guided via configuration process, based off of her needs, budget and expectations. If a client placed an order online, it gets evaluated before being put into production and if something is not currently in stock, is imbalanced, incompatible or in any other way problematic, the customer gets notified within a business day. From there, the order goes into construction and should any issues be discovered during that process it gets relayed to the customer with a proposed solution. Once the machine ships, you’re covered with a 1-year in-house (that’s right) tech support, which can be extended and even upgraded to on-site and all of the components retain their full manufacturer warranty even after ours expires. Even after the warranty for an NCIX PC expires, we help guide the customer towards a solution, and our online forums are a great place for community assistance. All of the above has earned us Elite class Reseller Rating! Q- PCDIY – What are your thoughts on the current landscape of PC as a media platform whether it be audio, video or gaming? We see it as the most robust and flexible platform with the most growth opportunities especially as we move into UHD displays, VR, 3D, HD audio and more? While some would say that PC is stagnating due to components not gaining 100% performance with every new generation, there is way more to PC than just specs of its hardware. Social gaming is now mainstream, with more and more people streaming, indy game projects not requiring a high-end system at all are immensely popular (Minecraft, anyone? ), social integration is everywhere so thanks to PC’s robustness, gamers are all connected. Then there’s YouTube, filled with millions of user-made game videos recorded, edited and rendered on the same machine they game on! Yes, a PC is more expensive than a console (for gamers), a laptop (for mainstream gamers), or a sound system (for audiophiles), but it can do it all and then some! 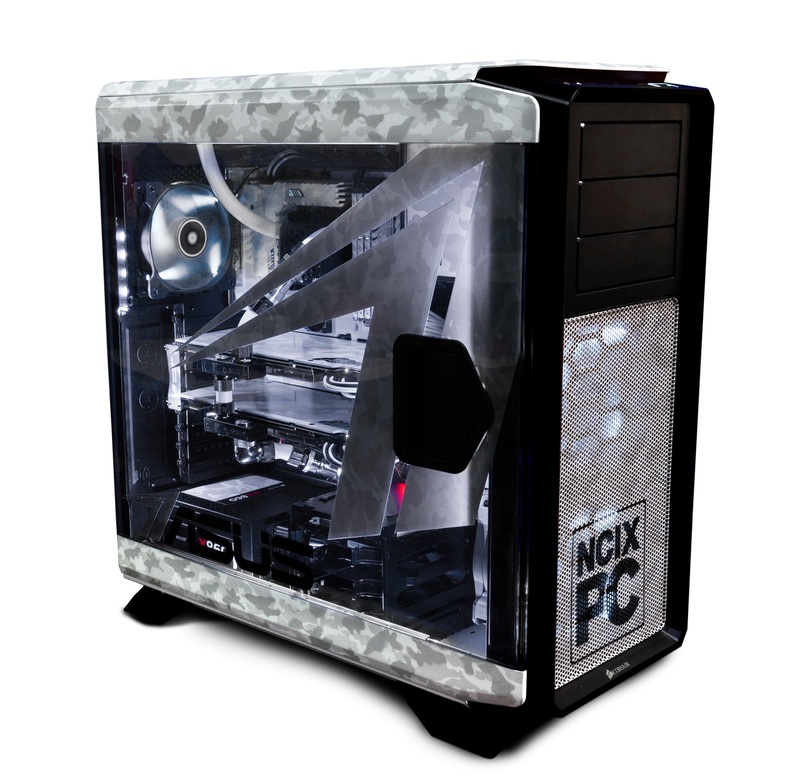 Q – PCDIY – Why does NCIX PC systems pick ASUS? ASUS is on our A-List due to consistent reliability and quality of your products as well as outstanding partner support, from entry-level to flagship platform implementations. 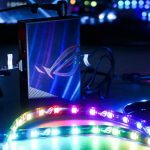 While usually more pricey than competition, ASUS follows the more-for-more mantra. At NCIX PC we believe that “you only live once and you only game once”, so it’s better to go for the best experience here and now, whether for business or pleasure. 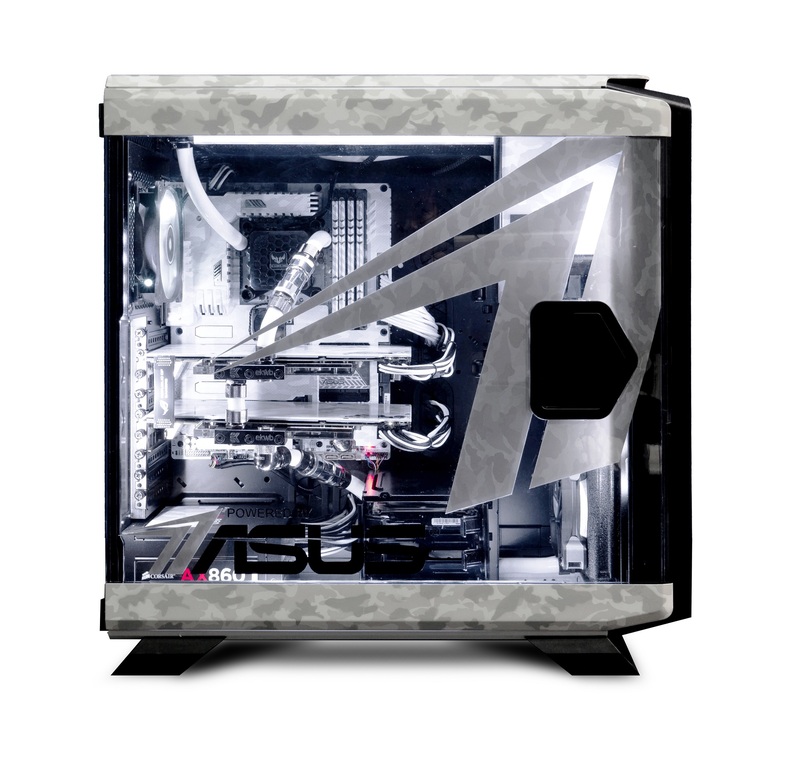 Q – PCDIY – Over the last 5 years ASUS has spent a huge amount of time and effort in the design, development and implementation of a wide range of features, functionality. Has there been any that you have really appreciated or were / are excited to see implemented? Oh yes, the one-click system optimization that actually works nearly as well as dialing OC settings manually. Granted that nothing beats the old-school tweaking for the end result, a solution which is nearly as good and requires no end-user expertise is most welcome. Inclusion of high-quality SupremeFX sound subsystems in motherboards was also a very welcome addition. That wraps up our Q&A hopefully this has given you some insight into the time and effort and overall passion NCIX brings to the table when designing and producing outstanding custom systems. 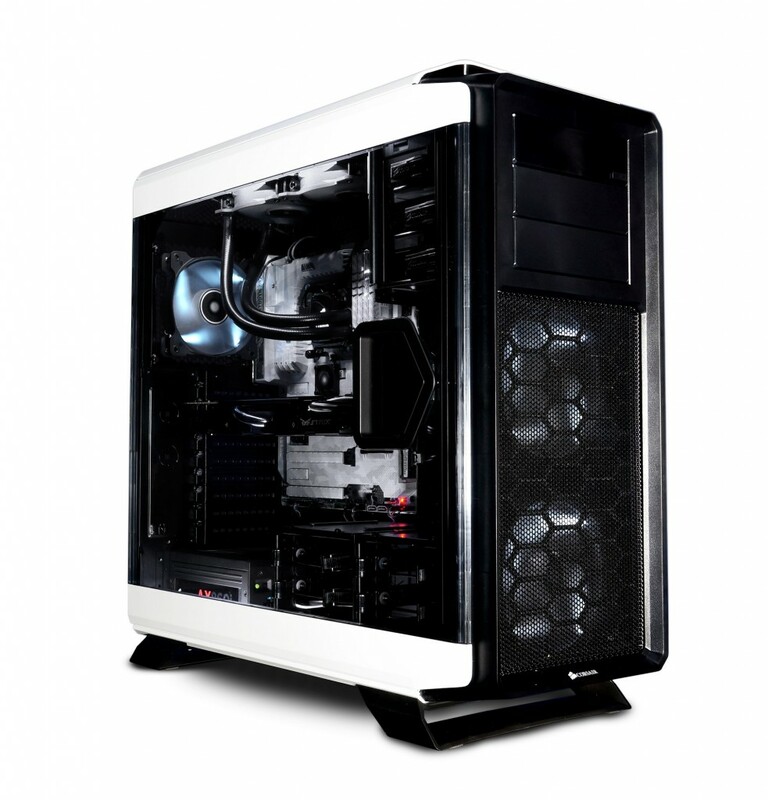 Below you will find a link to those who are interested in winning complete system from NCIX. Where to go to submit your entry to win? Good Luck! System specifications ( They are awesome! ) 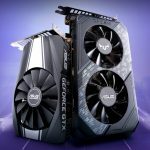 A limited edition SABERTOOTH Z97 Mark S and a STRIX GTX 980 and much more. Pictures of the giveaway system!